That’s how incredible and interactive an experience FM Expo, Dubai was. Team Facilio headed to Dubai for this event, and it was rife with new opportunities and relationships to build on. We reached the venue, pumped up for the FM Expo. See, FM Expo is one of the largest facilities expos with FM professionals across the globe under one roof. It was swarming with people on the word go with the audience unanimously intrigued to experience technology in buildings and facilities. 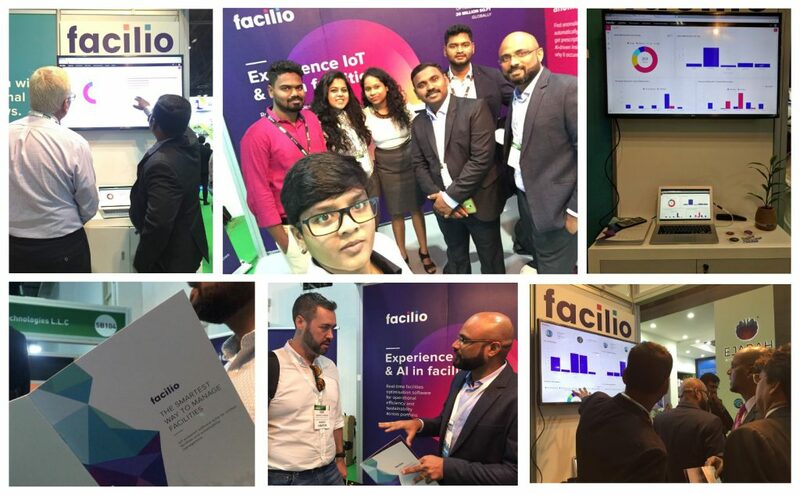 We had a lot of curious visitors, interested in IoT &AI, since they are upping the ante for the Facilities industry. Technology has moved rather slowly in the Built environment within the past 30 years. Today, buildings are striving to become smarter, and very few companies are bringing the Internet of Things, Artificial Intelligence, and Machine learning to properties. Curious, many people dropped by to understand how Facilio is using game-changing technologies to ameliorate how buildings function. Our Founder & CEO, Prabhu Ramachandran, spoke about how technology can be leveraged to drive environmentally responsible facilities that create a positive impact in the world and it hit the right chord with the audience. Facilities management is at the tipping point of disruption, and how harnessing IoT & AI will empower FMs to fix problems faster and transcend to value players in the ecosystem. Experience the talk with this presentation right here. 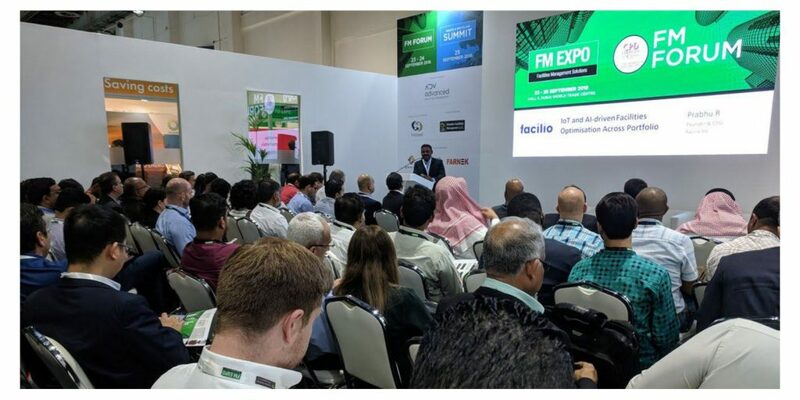 The high point for us was that even before we got to FM Expo for the event, Facilio was already shortlisted in the Companies to look out for at the FM Expo. At the event, the interactions were nothing short of phenomenal. Our booth was always full of people, the crowd comprehensively discussing the future of Facilities Management. 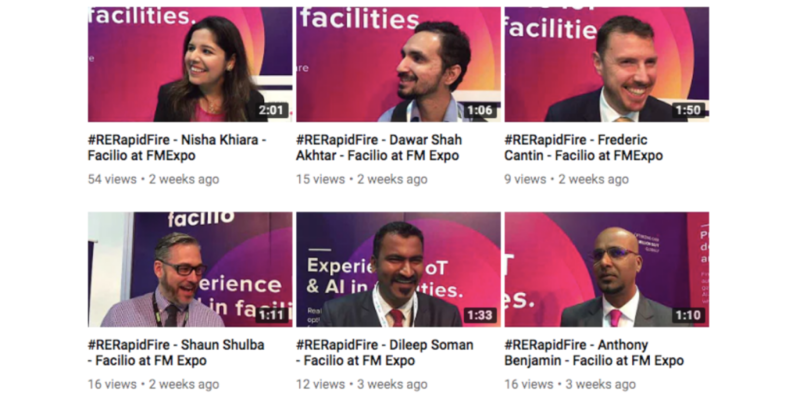 The audience at FM Expo was a true sport answering our #RERapidFire – a fun Q&A session about the essentials of FM, Buildings, and real estate. Our rapid-fire videos created quite an engagement at the booth as well online on social media channels. As a product team, we are deeply focused on saving the planet one building at a time, whilst providing greater efficiency, lower carbon emissions, better asset lifecycle, and so on. And to stick to our aim, all our visitors were presented with a small pot of greens, music, IoT, and sustainability. We hope that every time their flowerpot starts playing their music, they think of us. Every morning as we walk up to our desks and bring our best at work, we fail to notice the efforts of a resilient team toiling hard in the background to keep problems at bay. FM Expo was a humble opportunity for #TeamFacilio to say #ThankYouFM for working behind the scenes and constantly having our backs. We really are grateful.